This tour will take us along the fascinating East-West divide of Jerusalem along route #1 which was the border between Israel and Jordan between 1948 and 1967. On the tour you will see and experience the rich and fragile nature of Jerusalem's peoples and places, so deeply connected and yet deeply divided. The tour will start at New Gate with a short introduction to the Israeli-Palestinian conflict focusing on the current realities in Jerusalem. The tour will start at New Gate with a short introduction to the Israeli-Palestinian conflict focusing on the current realities in Jerusalem. From there we will cross over to the West side of the road and from the steps of city council we will look onto road #1, dividing East and West Jerusalem. We will continue from there by walking into the neighborhood of Musrara, located right on the seam line, where we will observe what life was like for the Middle Eastern Jews whom were placed there in the extreme conditions of the border. 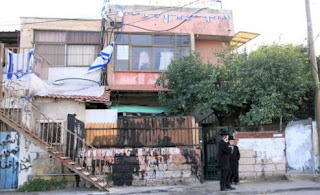 From Musrara we will travel north, along the seam line road, and have a peek into the Ultra Orthodox neighborhood of Jerusalem, Mea Shearim. 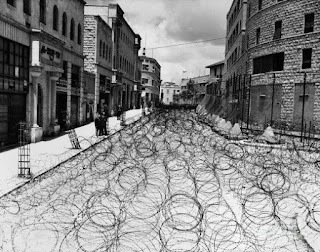 Then we will cross the road to the East and into the Palestinian Neighborhoods there. We will walk through Eastern Musrara and up into the more affluent Neighborhood of Sheikh Jarrah. 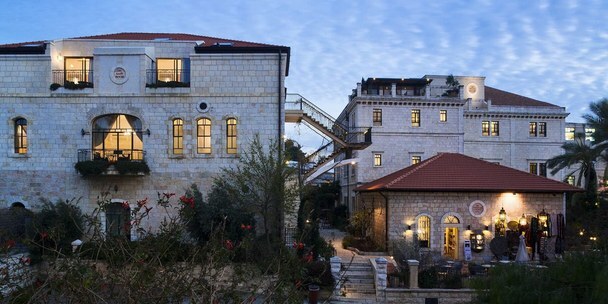 On our way we will pass through some of the important landmarks of East Jerusalem such as the Orient House, the National Palestinian Theater, the American Colony Hotel and others. Whilst observing the great beauty and rich history we will discuss and interact with some of the many hardships that residents of East Jerusalem endure such as home demolitions, settlement expansion and racial discrimination. We will end the tour at the evicted home of the El Kurd Family in Sheikh Jarrah and visit with families there. The visit and tour will give you a good overview of many of the key issues affecting the Israeli-Palestinian conflict, right in the heart of this divided land, Jerusalem/Al quds.